For patients who are younger/smaller. For patients who have strong patterns of pronation or supination. For patients who have excessive plantarflexion; very little voluntary control of the ankle, consistent toe walking. For patients who have strong hyperextension of the knee. This lighter weight brace should NOT be used to control excess dorsiflexion in a crouching patient. This product video looks at the function and features of the custom fabricated DAFO® 3. This before-and-after video shows a young patient with a diagnosis of schizencephaly. She exhibits excess plantarflexion (toe walking). Her excess plantarflexion is improved by wearing DAFO 3s, Cascade Dafo's plantarflexion-block custom-fabricated AFOs. 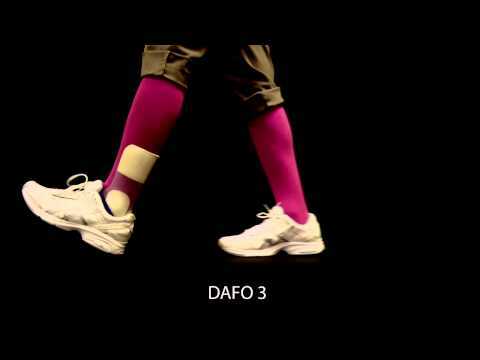 The DAFO 3 combines full wrap-around foot control with a solid proximal posterior upright that blocks ankle plantarflexion and allows free dorsiflexion. This brace style is particularly well-suited for smaller patients as it is both light, and simple in form and function. The video shows Justin, a 4-year-old boy with Cerebal Palsy (hemiplegia), using a custom-fabricated DAFO 3 on his affected side, to control excessive plantarflexion (toe walking). 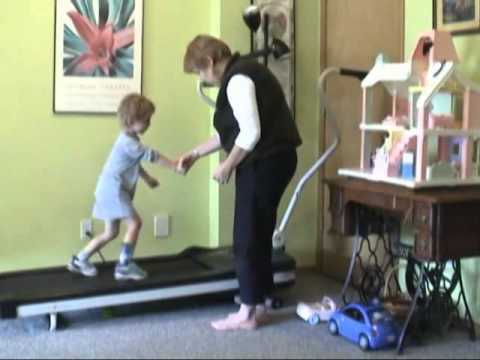 This video is narrated by the patient's pediatric physical therapist, Nancy Shapiro. It shows Justin with and without the DAFO during his physical therapy session. Includes commentary about various physical therapy activities, including using a treadmill to work with pediatric patients. 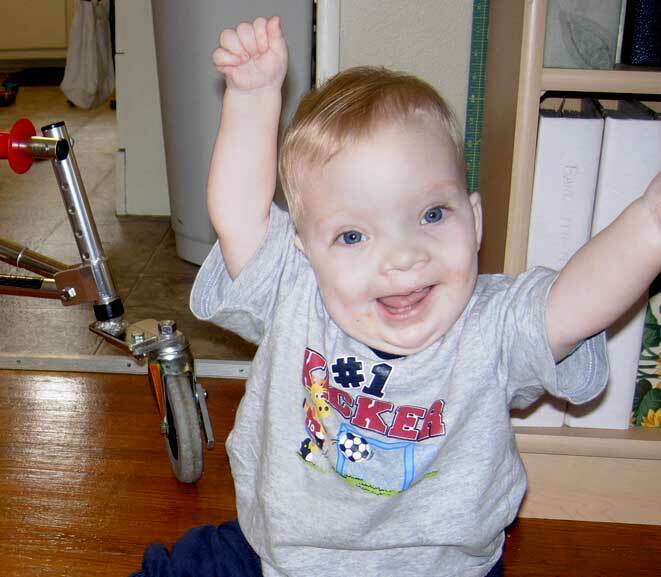 This case study video shows the same patient, Summer, at age 2 and age 7. Summer has a diagnosis of schizencephaly and exhibits strong excess plantarflexion (toe walking) with high muscle tone. At age 2, she wears a pair of custom fabricated DAFO 3 Softy plantarflexion block orthoses to help control foot position. 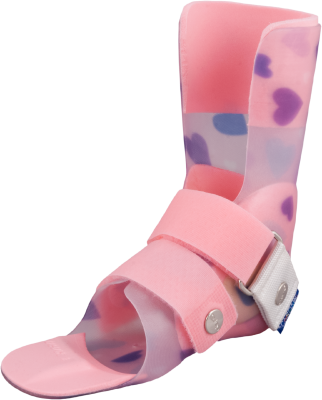 At age 7, Summer wears a pair of custom fabricated DAFO 2 orthoses -- hinged plantarflexion block style orthoses. This video is narrated by the patient's orthotist: Cindy Diener, CPO. 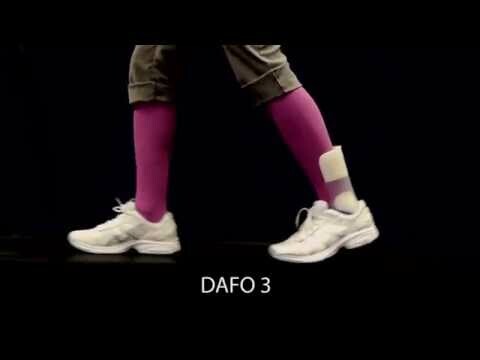 This video demonstrates how the leg and ankle move in the DAFO 3.